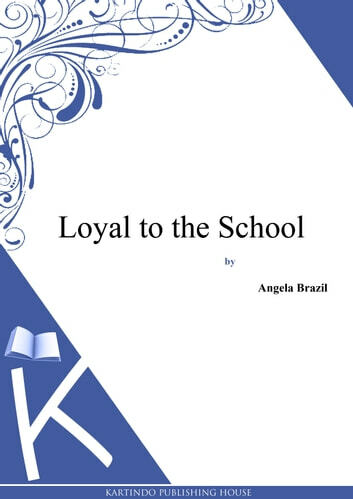 Angela Brazil (pronounced "brazzle") (30 November 1868 – 13 March 1947) was one of the first British writers of "modern schoolgirls' stories", written from the characters' point of view and intended primarily as entertainment rather than moral instruction. In the first half of the twentieth century she published nearly 50 books of girls' fiction, the vast majority being boarding school stories. She also published numerous short stories in magazines. Her books were commercially successful, were widely read by tween girls, and influential upon their readers. While interest in girls' school stories waned after World War II, her books remained popular until the 1960s. They were seen as disruptive and a negative influence on moral standards by some figures in authority during the height of their popularity, and in some cases were banned by headmistresses in British girls' schools. For more eBooks visit www.kartindo.com.